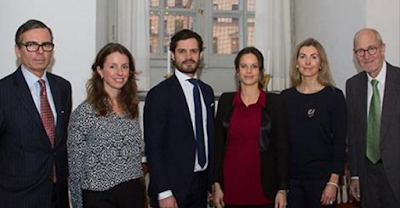 Today Sofia and Carl Philip held a board meeting for their Prince Couple's Foundation. This foundation started back at the time of their wedding and they hold meetings regularly to discuss what they are going to help support and fund as well as get updates on what they have helped fund. 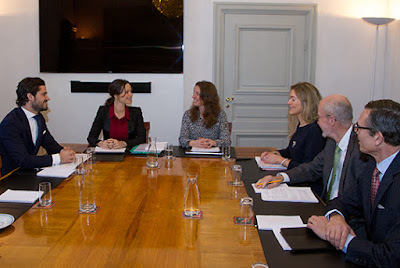 Sofia wore a red blouse from Proud (Thanks Johanna!) 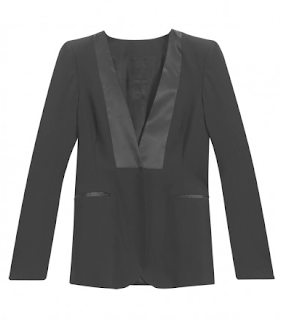 under a black blazer which looks to be from Filippa K. Sofia wore the same blazer to Princess Lilian's Funeral. Sofia is a great asset to the Royal Family. She has a deep background with helping children and she is not about to be ashamed of how she has lived her life which I greatly admire. She started her own charity and has done great wonders with it in South Africa- she herself said that when they first came people were skeptical of 2 white girls wanting to make a change but now they are respected in the community and have done a great deal to help the community of Langa overcome their ideas around disabilities. She also was a Yoga Instructor and had her own line of Yoga Wear. She has taken many courses at Universities including topics of Childrens Rights and has also studied accounting. She brings all this knowledge with her to the family plus her desire to work hard. She has jumped head first into the family and she was probably the quickest new member of the family to take on a solo engagement after marriage. (This I do not know for a fact- it just a feeling- so please don't quote me) She is a kind individual and a treasured part of the family. Sofias blouse comes from Proud.